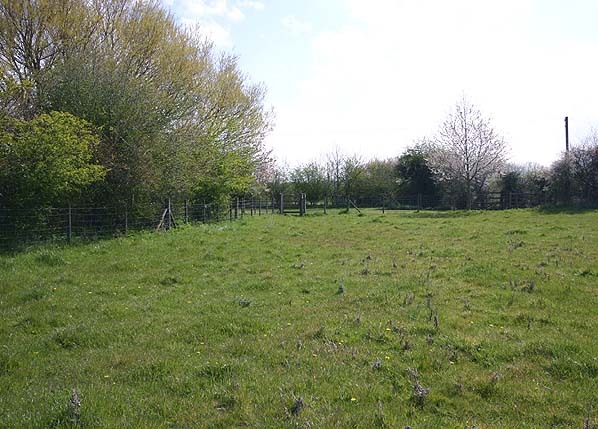 Location: West side of a footpath ruining south from The Street (400 yards). The footpath runs from the west side of St. Nicholas church. Notes: Ash Town had a single brick faced platform on the up side of the line, a wooden open fronted shelter with a canopy was a later addition. 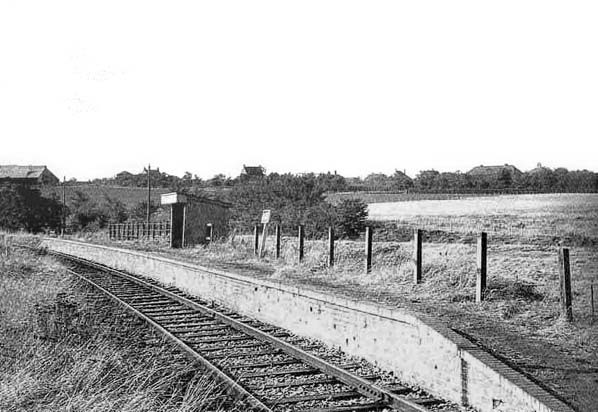 The station was sited some distance from the village along a footpath, there was no road access. Initially the name was Ash Platform but this was soon changed to Ash Town. It served one of the large villages on the line but with the introduction of busses most commuter traffic was lost. 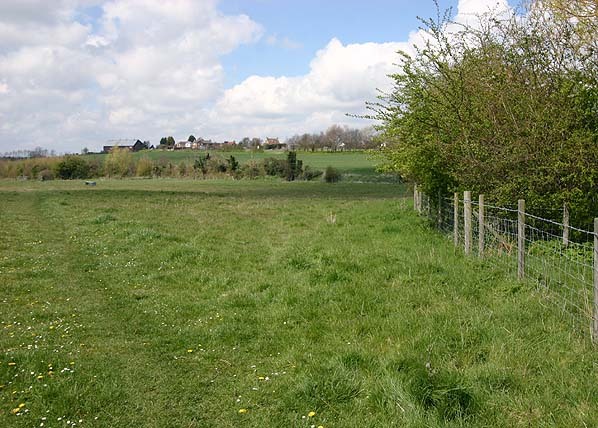 There were two agricultural sidings close to the station one serving Poulton Farm to the west of the station and another serving Moat Farm to the east of the station. After closure to passengers the station continued to handle parcels traffic until 1st March 1951. The track through Ash was lifted in May 1954. Ash Station is within the Jack Foat Trust country park with free public access..
East Sussex Light Railway, Colonel Stephens also became locomotive superintendent and general manager. To see other stations on the East Kent Light Railway click on the station name: Shepherdswell, Eythorne, Elvington, Knowlton, Eastry South, Eastry, Woodnesborough, Staple, Wingham Colliery, Wingham Town, Wingham Canterbury Road, Poison Cross, Roman Road, Sandwich Road, Richborough Port & Tilmanstone Colliery Yard. 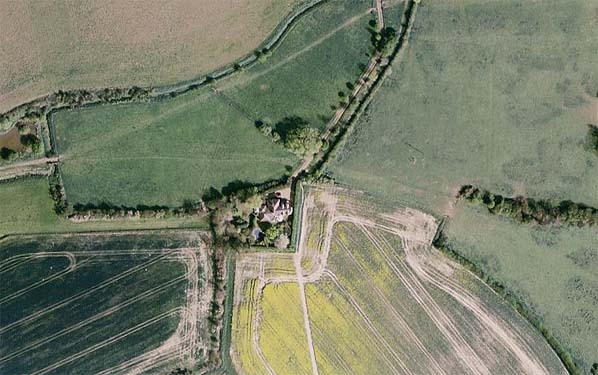 Although there is no trace of Ash Town station or the line on the ground the course is clearly visible as a crop mark in aerial photographs. The course can be seen running horizontally across this picture, the station was just below the tree in the centre of the picture.